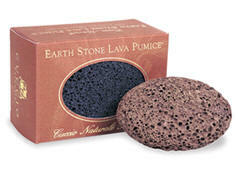 Natural pumice for body exfoliation. Basaltic Mineral Pumices remove dead, dry skin and calluses naturally for the ultimate manicure or pedicure experience. Made from earthstone lava, these pumices are lightweight (they float) and can be 100% sanitized by immersing them in any sanitizing liquid or solution. Pack of 2.